Research has shown schools that require school uniforms increase safety by identifying trespassers, reducing social and economic status by promoting equality and improving academic performance by increasing students’ attention toward their studies. GVA’s logo is the property of Global Village Academy. This logo may not be used for any reason without written permission from the school’s administration. Outside vendors are not authorized to embroider on shirts that are brought to them. Please donate these uniforms to help support students in need. 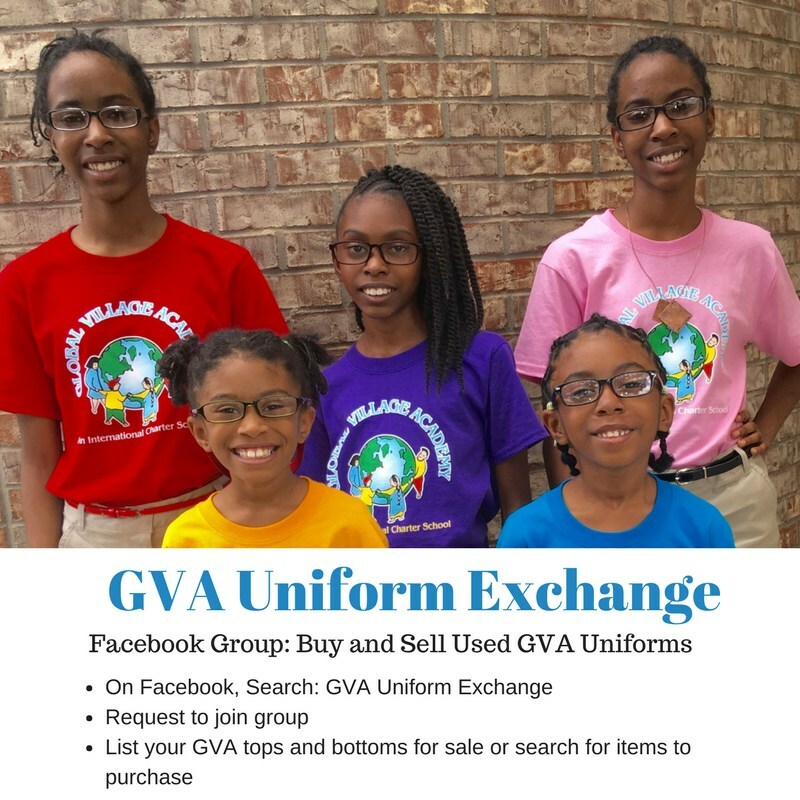 Your can also donate to the GVA Uniform Fund for families in need of uniforms. Global Village Academy respects and honors all religious beliefs. If your religion dictates a certain type of dress (ex: head cover, scarves, etc. ), please contact your school administration. We will gladly accommodate your student.